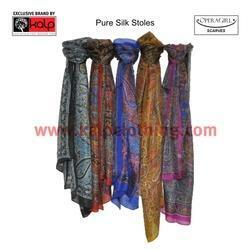 We manufacture a range of Pure Silk Stoles. 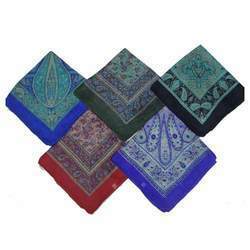 These stoles are widely prefered across age groups and are available in many attractive designs and colors. 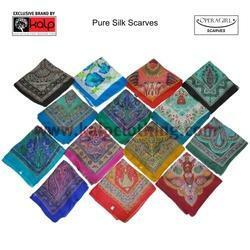 We are the top-notch manufacturer, exporter and supplier of supreme grade Pure Silk Scarves. These scarves are designed with the help of our team of designers who have immense knowledge of market trends and taste of our clients. Designed using the best quality fabric and advanced techniques, these scarves are crafted with the international quality standards. Further, the offered scarves are available in various colors, styles, prints and lengths at market leading price. 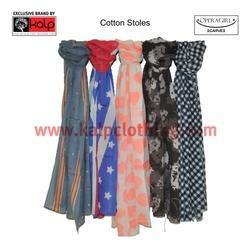 We manufacture a wide range of pure Cotton Stoles under the brand name 'OPERAGIRL'. 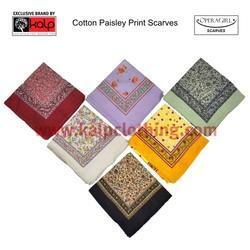 We hold expertise in offering an excellent quality Pure Cotton Printed Scarves. Our offered scarves can be worn casually by ladies with any dress to look more charming. These scarves are designed using excellent quality fabric under the guidance of skilled professionals in compliance with latest market trends. 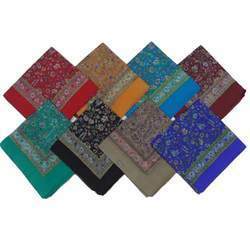 We offer these scarves in different colors and patterns keeping in mind varied needs of the clients. Being a prominent name of the garment industry, we specialize in offering a comprehensive and sophisticated range of Designer Scarf. Renowned for its elegant designs, this designer chinon fabric scarf is designed from high grade soft fabric. Further, this designer chinon fabric is available at market leading prices and within the promised time-frame. 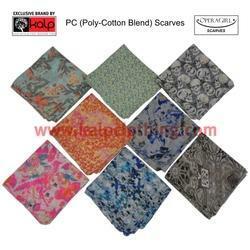 We provide a wide assortment of designs in PC (poly cotton) Scarves. 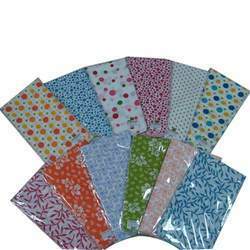 These scarves are very economical and are suitable for pleasant climates. Looking for Ladies Scarf & Stoles ?